Well, it’s an interesting play … and for everyone who doesn’t know me, that means I’m not overly fond of its plot. But thanks to the truly spectacular cast it was a great experience. It’s a “morality play” , putting the participants through the wringer until they finally and after years of being tested can find their happy ending. And as always with plays that span over decades, it’s hard to cast and even harder for the actors to make their life span believable. Thankfully there’s no shortage of great actors in Stratford. As it’s one of the less often staged plays, here is a short reminder. Pericles falls in love with the fair daughter of king Antioch who because of his incestuous feelings for her has every suitor solve a riddle whose answer would blame him of being incestuous. Pericles comes too close to solving the riddle and has to flee. On his voyage to escape Antioch’s wrath he saves Tarsus from a famine. But then shipwrecked he lands in pentapolis where the good king and his daughter (the same actors as Antioch and his daughter, thus depicting how very close good and bad exist together) take him in and after winning in a tournament, daughter Thaisa seeks him as husband. Pregnant she accompanies him to his kingdom, but again the ship wrecks and Thasia seems dead after giving birth to a daughter. So Pericles goes back to Tarsus, to hand his daughter over to queen Dionyza (Claire Lautier and fabulous) who initially wants to help but Marina turns out to be prettier than her own daughter and so the queen orders her killed. The assassin backs away from the deed just long enough for pirates to kidnap the young girl and bring her to Mytilene. Mytilene is also the home of the healer who,17 years earlier, had saved Marina’s mother Thaisa, who wasn’t dead after all. She decided to go to Ephesus to become a priestess of Diana to pray for her lost husband and child. Meanwhile the pirates have sold the virgin Marina into a brothel, where she then proceeds to escape her fate by bettering her clients. When she does this to Lysimachos, the protector of the city (Antoine Yared and very promising, ie. really nice to look at), he falls for her and gets her a position less dangerous to her honour. Exhausted yet? We still got a while to go. Now Pericles has fallen into a deep depression when he learned of Marina’s death and not moved nor washed for over a year. To hopefully find help, his chancellor and friend brings him to Ephesus but the ship is stopped near Mytilene, where Lysimachos tries to make sure the ships’ crews come in peace. When learning about pericles’ condition he sends for “that girl whose songs can heal”- you guessed it – Marina. Father and daughter reunite, Lysimachos and Marina declare their love for each other and finally all is well. To celebrate the good news they continue their trip to Ephesus where they are welcomed by Diana’s priestesses. One of them immediately collapses. It is Thaisa of course who recognises her husband despite beard and bad hairdo. The family is reunited, incestuous king Antioch and his daughter long dead and the murderous queen unhappy. All is well. I do understand that this was written in the light of virgin queen Elizabeth’s reign. So it would be logical that virgin and everyone virtuous would prevail as long as they are true to themselves and their beliefs. It’s also about what makes a good king, a good father – hence the great idea by director Scott Wentworth to cast several characters with the same actors, thus underlining how close good and bad are. But sooo long. Great cast, wonderful adaption but sooo long. Oh And we got filmed. One of the five cameras was right across from my seat so prepare for my premiere !! Also I almost got no seat because my seat was taken by a camera. I got reseated right next to where I’d been though, so all was well. 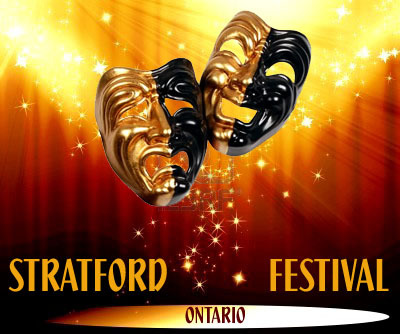 This entry was posted in Drama, Stratford Festival Ontario and tagged Antoine Yared, Deborah Hay, Evan Buliung, Pericles, shakespeare, Stratford Ontario. Bookmark the permalink.